The Logitech G700s is an amazing mouse for gaming. 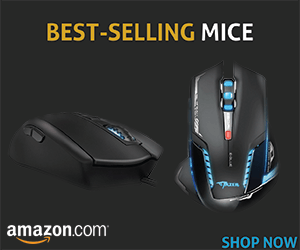 It is a beast packed in mice. Logitech G700s offers everything that should be in a perfect gaming mouse; it is a fast high-performance mouse with a user-oriented design. It offers 13 programmable controls with onboard memory. There are some issues with battery timings but its range of other features completely make up for it. The best thing about the Logitech G700s is its speed. 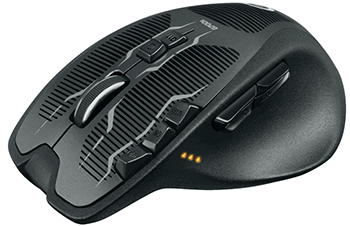 Regardless of wired or wireless connectivity, G700s promises the best response time of less than 1 ms. Speed is an important factor in games. With respect to any other ordinary USB connected mouse, this speed is 8 times faster. The Logitech G700s is one of the heaviest gaming mice on the market, probably because of the wireless transceiver and rechargeable battery present in it. I personally prefer heavier mice because of the extra friction and grip they provide. The Logitech G700s gaming mouse is extremely comfortable. It has natural curves for right handed users. The grip and comfort the Logitech G700s provides are second to none. All 13 buttons are within finger reach without causing any interference. It comes with a nice user-friendly software that helps mapping macros or game commands for any of the 13 buttons. One of the major issues with the G700s is its incompatibility with operating systems other than Windows. G700s also comes with onboard memory. It means there isn’t any software dependency for key mapping, etc. Not only does this allow portability, but it also reduces lag time. DPI plays an important role in games. Most gamers take advantage of DPI switching in gaming. Logitech G700s features a DPI switcher through which you can adjust DPI on the fly in 5 different stages. You can adjust the DPI from 200 to as high as 8200. Although there is a light indicator to give the user an idea about the mouse sensitivity, you can always check it from the customization panel. G700s also scores perfectly for accuracy. It uses a gaming grade laser. It can catch subtle movements and also allows the mouse to be used on a wide range of surfaces. Another important feature for the Logitech G700s is its optical wired charging cable. In simpler words, you don’t have to stop gaming when it is time to charge the mouse. To power up, you just have to connect the mouse through a micro-USB cable to your device. With this, you can charge the batteries while you stay in the game. 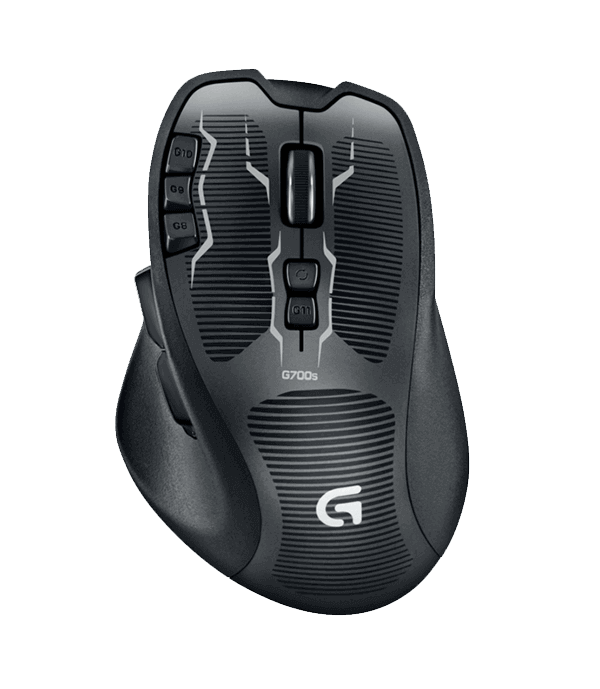 The G700s is an impressive product by Logitech. It covers both of the major concerns for wireless mice. Not only they have improved lag time in wireless connection, but they also offer a better response time in both wireless and wired connection. The battery problem is still in there to some extent. But Logitech has covered that problem by adding a recharge mechanism through the standard micro-USB cable.